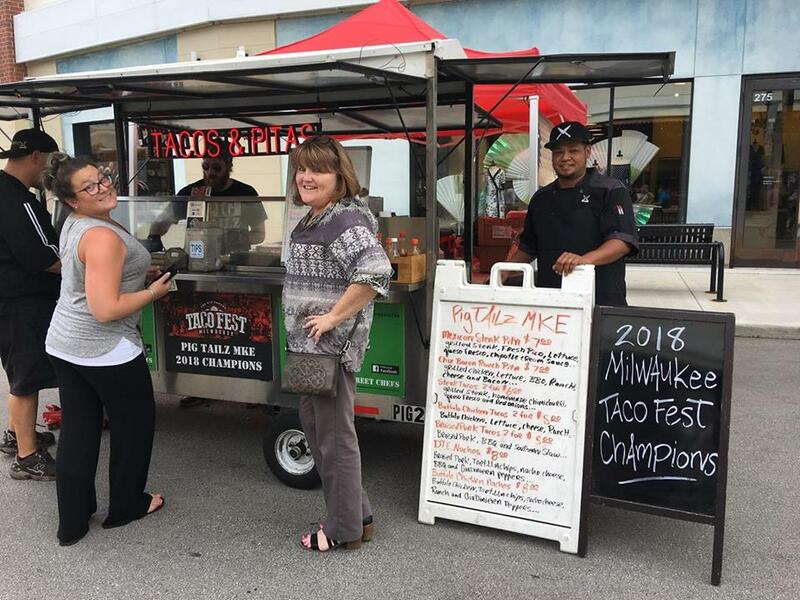 Jordan Stewart’s food cart, Pig Tailz MKE, won the Milwaukee Taco Fest this summer! Congratulations! Jordan Stewart is co-owner of Pig Tailz MKE. Pig Tailz MKE is a food cart/catering company serving tacos, pitas, nachos and unique sandwiches to Milwaukee and the surrounding area. They can be found at area events, pop-up catering gigs, or around Water Street. When not working at his food cart, Jordan is an MA in History student, finishing up his Master’s degree.